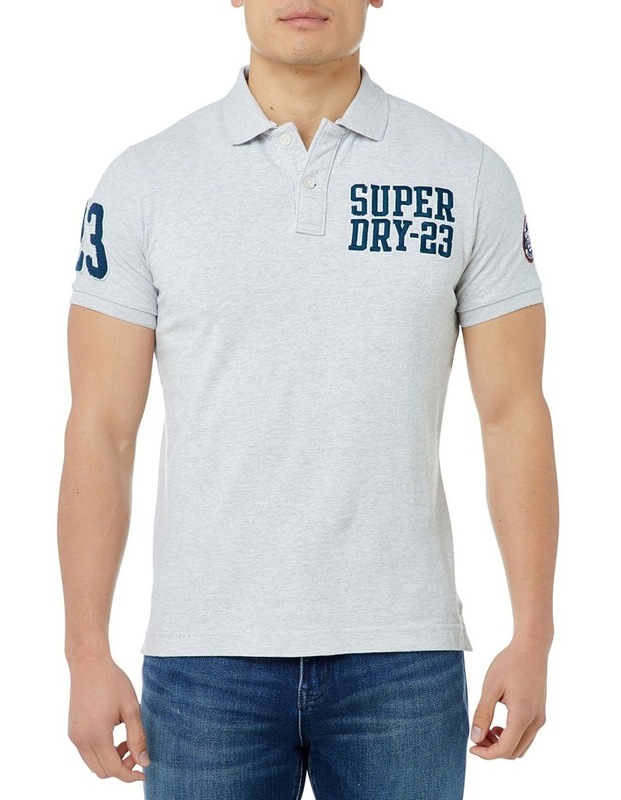 Superdry mens Oldskool superstate pique polo shirt. 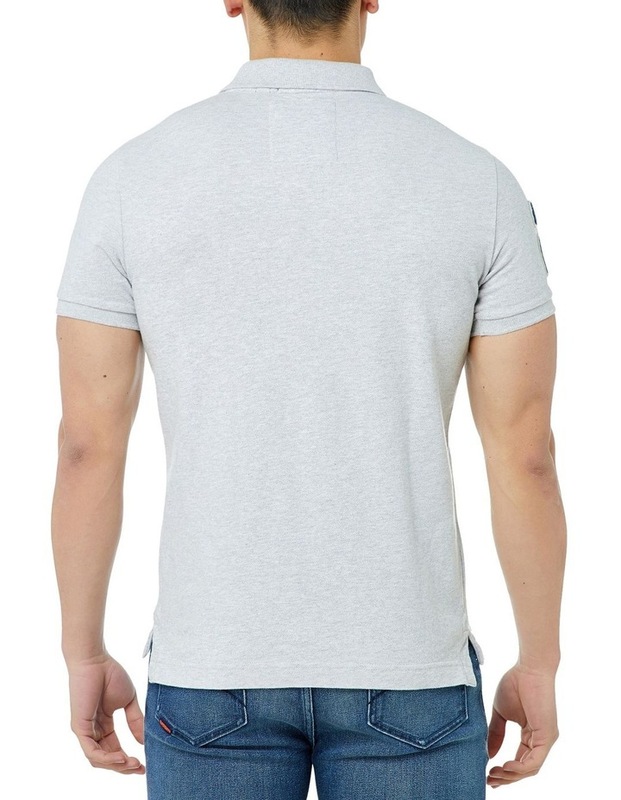 Do casual the right way in this pique polo shirt, the high quality fabrics used means it has been built to last. 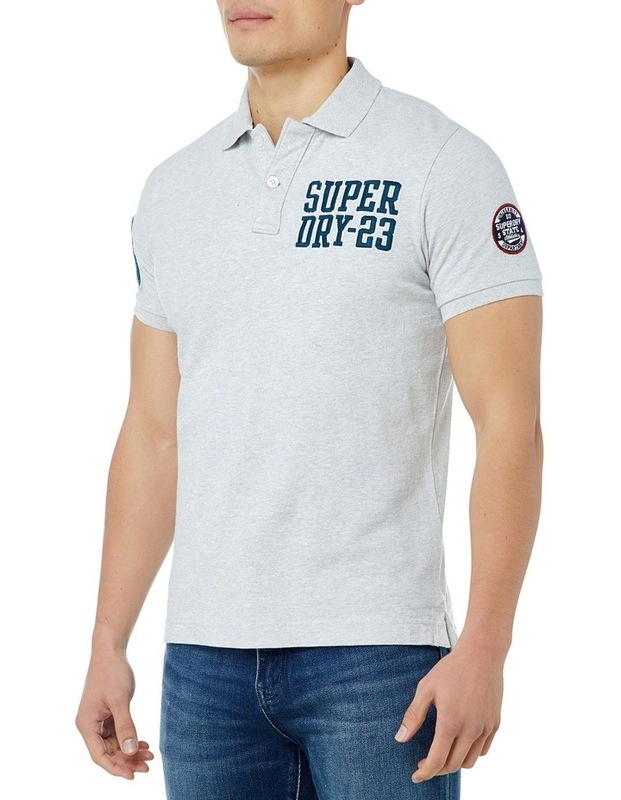 This pique polo shirt features short sleeves, a two button down collar and an embroidered Superdry logo on the chest. For the finishing touches, the Oldskool super state pique polo shirt has a number patch on the sleeve and split side seams. Team this polo shirt with your favourite jeans and boots this season for an on-trend outfit.